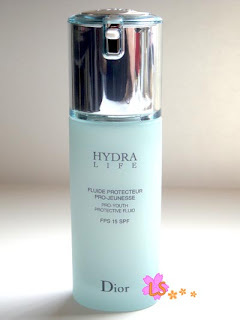 I was excited to see the new Hydra Life line at Sephora during their VIB discount event. I saw the ads on beauty magazines last year and it looked really good so when I see it at Sephora I decided to give it a try. 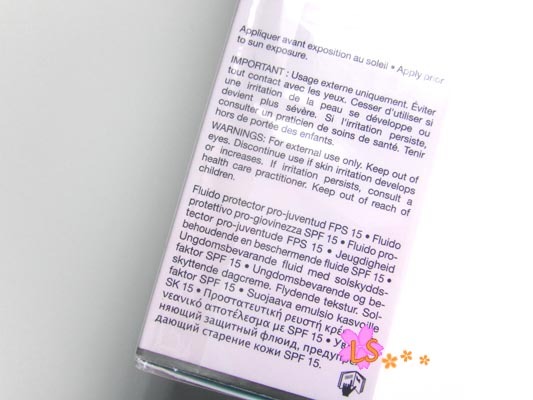 The first product I picked up was the Pro-Youth Protective Fluid SPF 15. As summer getting near, I need something light and has SPF in it. So this product seems to be a perfect fit. You probably know that Hydra Life actually replaced the old Hydra Action line. 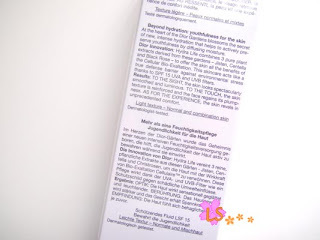 The whole line is all about 3 pure plant extracts derived from Dior’s gardens – Jisten, Centella and Black Rose. Here I’m listing some information from outside the packaging and Dior website. 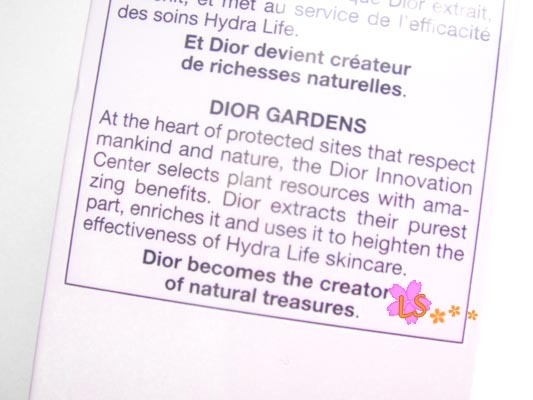 At the heart of protected sites that respect mankind and nature, the Dior innovation Center selects plants resources with amazing benefits. 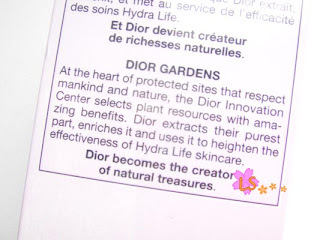 Dior extracts their purest part, enriches it and uses it to heighten the effectiveness of Hydra Life skincare. 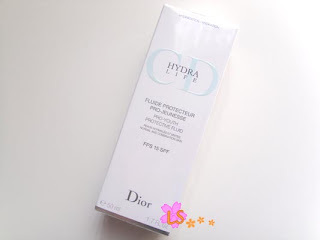 Pro-youth moisturizing skincare infused with an anti-aging serum, a concentrate of three pure plant extracts from the Dior Gardens, to actively delay 1st signs of aging. Fully moisturized, fresh and replumped, the skin bypasses assaults and fatigue. 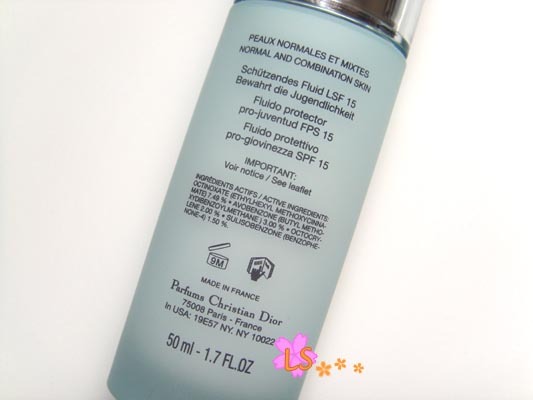 This light emulsion hydrates and acts as a real defense shield against external aggressions, thanks to its powerful anti-UVA and UVB philters. The light, fresh and melt-away texture provides well-being and softness with a light finish. The skin is fully hydrated and regains its fresh and radiant appearance. Normal to combination skin. There’s also the Protective Creme SPF 15 for dry skin. The whole line is in glass bottle/jar except the Tinted Moisturizer and Beauty Awakening Rehydrating Mask. I personally like how sturdy and heavy it feels and it looks more luxurious than plastic. Just don’t drop it. I also like the pump design for this particular product. It don’t come out too much so I need 2 pumps for my face and neck. The color of the bottle is another reason that makes me buy it. Don’t you think it’s so clean and cute? Light floral scent in a pleasant way that goes away very quickly. It’s in a milky color and texture. This is how it looks after smoothed on the back of my hand. This moisturizer is bitter~! I found it out a couple days after I started using it. At first I thought it was the ROHTO lotion since it’s “medicated”. But no it wasn’t. That’s really weird and it’s the first time that some skincare product tasted bitter especially it looked so pretty. The packaging is great. The pump only dispenses the right amount of product so I don’t need to worry about wasting. It’s also more hygienic than scooping out of a jar. I love the floral scent. It’s light and relaxing. The formula is light, easy to spread and very hydrating even after hours my face still feels soft. 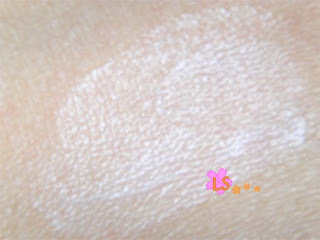 It leaves a nice glow that makes my skin look brighter. It feels stickier and heavier on my face than on my hand. Maybe because the skin on my hand is drier. I really can’t stand the bitter taste. It’s probably from one of the flowers or the sunblock which I’m not sure. 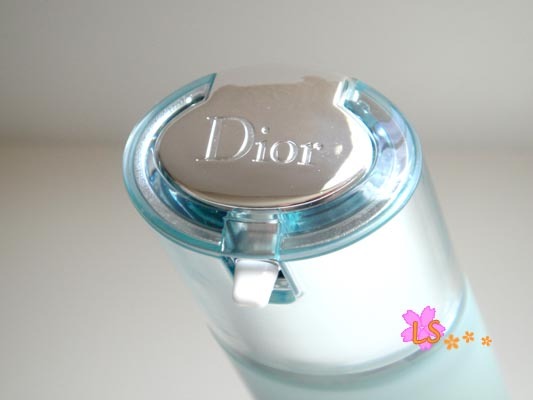 It leaves gel-like residue when rubbed so that makes it bad for makeup application. I’m assuming the silica has something to do with it. It slightly breaks me out. The SPF factor isn’t high enough. I would prefer something around SPF 25 or so. Overall I think it is a mediocre product. It’s not the best day time moisturizer I’ve used. Given all the good things about it, I don’t think I will repurchase it, not to talk about the high price tag. 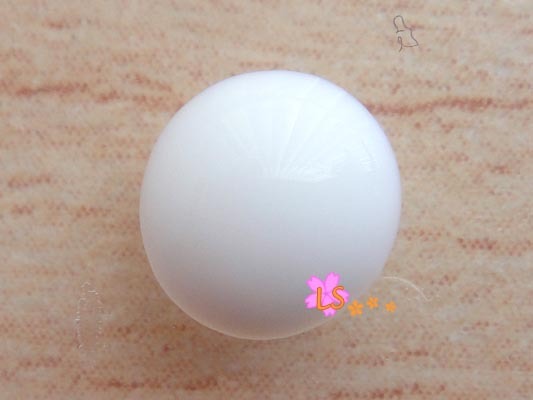 Haha, it looks like a marble! Does it always pump out a perfect sphere of product? The scent is beautiful. Packaging do look cute too. I was just about to get it and give it a try. Well, I may need to think about that. Thanks for the review!